Once again, we're very proud to call ourselves Belgian. Why? Because of Mc Alson! put an incomparable twist on squares & stripes and offer unique prints. But the best thing about these boxers is that they're equipped with a soft cotton jersey interior pouch to provide you with the ultimate male comfort. It's the best! In celebration of the Oktoberfest, Mc Alson has created a special, limited edition Oktoberfest themed collection. The collection is composed of six references in red, orange, pink, green, light- and dark blue shades. 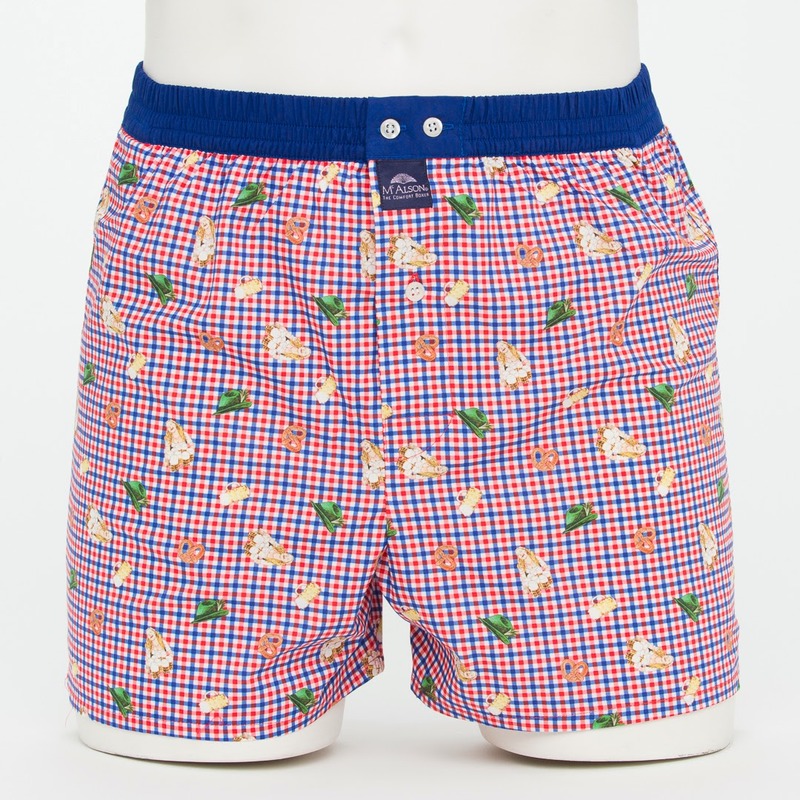 The witty prints on the body or the belt represent the typical Oktoberfest elements. Take a closer look and you'll see a typical tavern girl, a pint of beer, a pretzel and a Tyrolean hat! 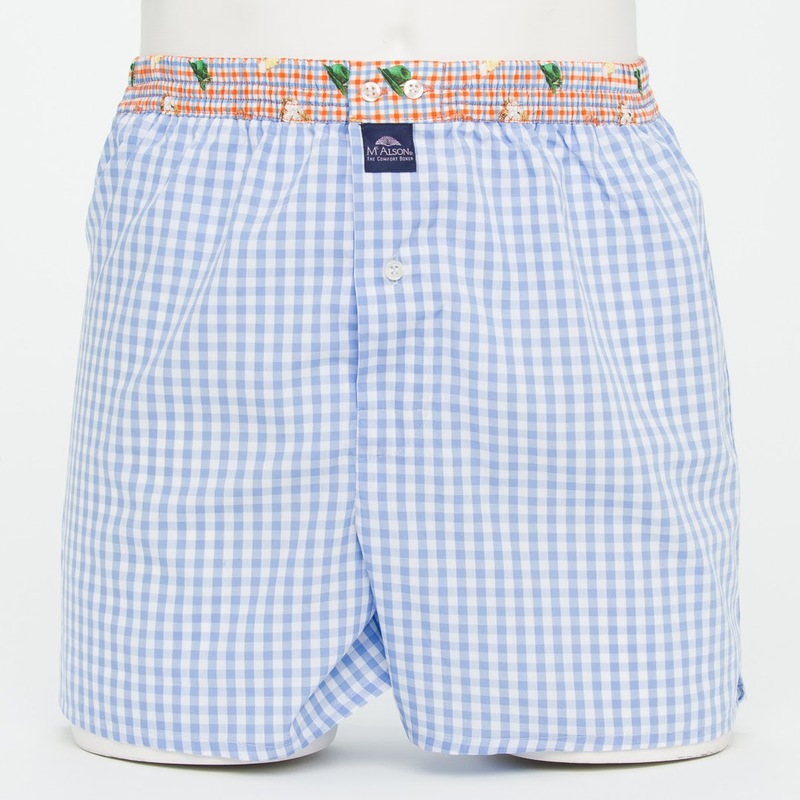 Boxer shorts of Mc Alson make a wonderful luxurious gift! Make sure to check out their website and take a look at our pictures below. Hope you like them as much as we do!